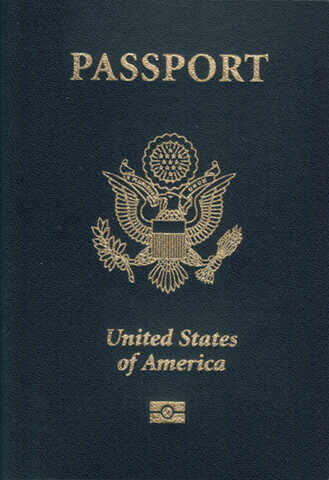 Password Reset: Your passport to a fuxored account. Password Reset Methods Vulnerable? Really? Get out of here, you mean that many password reset methods are vulnerable to attack? You have to be kidding. The fact that people think vulnerable password reset is newsworthy have got to be crazy. This is something that many of us have been talking about for years. Now Sarah Palin’s email gets attacked and it is big deal. It amazes me why we always wait to get screwed by something before we fix it. Why does everything in the security world have to be a response to something. Ok, not the security world but the business security world. They are definitely two different entities. I am truly tired of reactive security. Just think if other professions followed this reactive model, like a cop asking for a bullet proof vest after they have already been shot. Nobody can say they didn’t see this coming either. People make more of their life known through social networks, photo sharing, and blogs than ever before. The simple password reset questions just don’t hold up. There is a lot of unnecessary fear about data from social networks being used to steal someone’s identity. Although this is mostly FUD, social networks can be a great source for password recovery data. A while back we recovered a password (with his permission of course) from my friend Brian’s Sprint account using data from his MySpace page. This is when we were first starting our research for the social network hacking project. Let’s take a step back from social networks for a sec, would your friends, co-workers, significant other, etc. be able to recover your password with the information they know about you? If the answer to that question is yes, then you need to change something. Passwords should be something that you know, not you and a couple of other people. What Types of Data are on Social Networks? The information that people put on their social network pages range from minimal to wildly over the top. Some people even go above and beyond by posting survey questions that tell a lot about their personalities. Although they want to show off the depth of their personality, all it really does is show off the shallowness of their brain. Social networks by their default nature basically allow you to “friend” the world. The information on people’s social network page typically contains information that was previously only known to traditional friends and acquaintances. This can be a huge problem for the password reset mechanism, not to mention a person’s privacy. If it’s deep and kinda scary from a privacy standpoint then it is probably on a social network. Remember when I mentioned if your friends knew enough about you to reset your password then you are in trouble, well you just friended the world with the information from your social network profile. Beyond standard profile information there are a users actions taken on a social network site and possibly social network applications that are being used as well. All of this information can be leveraged when attacking a password reset mechanisms. With password resets an email account is really the jackpot. Many password reset mechanisms, including the ones from social networks, rely on sending either the password or a temporary password to the email address of the account owner. Someone who gets their email account compromised might just find that they have every other account tied to that email account compromised as well. I mean, it wouldn’t be a far stretch to figure that out once someone had access to the email account. Just think of all the crap that sites like Amazon, eBay, MySpace, Facebook, etc. send to your email account. Typical password recovery questions really vary in complexity from site to site. What is the problem with password recovery questions in general? Well, they are not typically made up of data that is private. Unlike a password which is supposed to be something that only you know, recovery questions may be known to many people around you. What was your hight school mascot? Some of these questions look like questions that social networks ask when you are filling out a profile, don’t they? If not questions they ask, certainly data that people put on their social network profiles or divulge through other means on a social network. The list really goes on and on. Remember that many people are on multiple social networks. Checking out other social networks may fill in the blanks. It is easy to see why this information could be a problem and I don’t think it needs any further explanation. Some data is not so obvious and might not be directly spelled out. This may be information that has to be aggregated or inferred from the profile data, friends list, blog, group, network, etc. The data is really limitless, but after all isn’t that what a nice web 2.0 application is supposed to provide? On the surface some of this data may seem silly for password resets but it is really not. This not so obvious information can be really helpful when when non-standard questions are used in the password reset process. This typically happens when people are left to their own devices when creating security questions. They typically create questions that are common and familiar to them. Stupid things like pet’s names, favorite teams, favorite TV shows, etc. Just think for a moment about tagging. People may tag photos themselves with useful information. Also, friends may tag people in photos helping better define a person’s relationships with people and activities they are involved in. The URL of the social network may lead you to potential usernames / IM information such as www.myspace.com/(username). Maybe the data is completely visual like photo data. A lot of information can be obtained by looking at pictures. Favorite places, sports teams, cars, and countless other possibilities. You name it, people like pictures with their favorite things. The actions people take on social networks helps better define relationships, networks, group affiliations, and activities. The person may place comments on other people’s photos, profiles, walls, blogs, etc. You may see comments like “That is why you are my BFF”. You may also see that someone is a member of a political party or religious group. People may discuss on boards or blogs about certain things happening in their life. Sharing is caring right? So what you get in the end is a clear picture of who these people are. You get their likes, dislikes, friends, and affiliations are all in a nice clean package. You may have never even met this person but you have all of the information a traditional friend may have, possibly more. If you almost have the nail in the coffin then you can turn to other sites to complete the task. You could look for name / username collisions on other sites to gain more data. You could take their high school and age information and find out who they went to school with. The possibilities are endless. When people are given the option to choose their own security it has historically been bad. There is nothing that seems to suggest that allowing user’s to choose their security will get any better, so some of this may be wasted breath. When looking at sites like Google, it seems they have slightly better security questions. Questions such as your library card number, frequent flyer number, etc. I think sites like these with better security questions probably have a high amount of people that end up just choosing their own questions when this option is available. People don’t seem to understand that this isn’t a function that you are going to use everyday. It is ok and preferable to use data that you may not be able to recall without looking up. The problem of personal data leakage isn’t going to stop until people realize the potential impacts of their data being strung out for the whole world to see. I personally don’t think this will change, in fact, I think with time it will get a lot worse. We live in this voyeuristic, virtual world where people create digital representations of how they see themselves. I think that has an appeal to many people, especially those who don’t particularly find their lives that exciting. Don’t play by the rules when dealing with a sites password reset questions. Put blatantly wrong, hard to guess, or nonsensical information in to the answer blocks. This will make any information gathered on you useless when attempting to recover your password. The biggest mistake someone can make is thinking that there is nobody out there that gives enough of a crap about them to attack their accounts. People do weird things. Anybody is capable of just about anything. This isn’t being paranoid, it’s being safe. Think of it as locking the door on your house when you leave, only instead of your valuables you are protecting your data. Well, it seems like it didn’t take that long for the malware authors to notice the opportunity in abusing Twitter as a malware distribution platform. “…This profile has obviously been created especially for infecting users, as there is no other data except the photo, which contains the link to the video. Unfortunately, the auto-follow-me vulnerability is still exploitable for Internet Explorer users. I’m still withholding the technical details of this vulnerability in a hope that it won’t be exploited in the wild, more than it was probably already did.